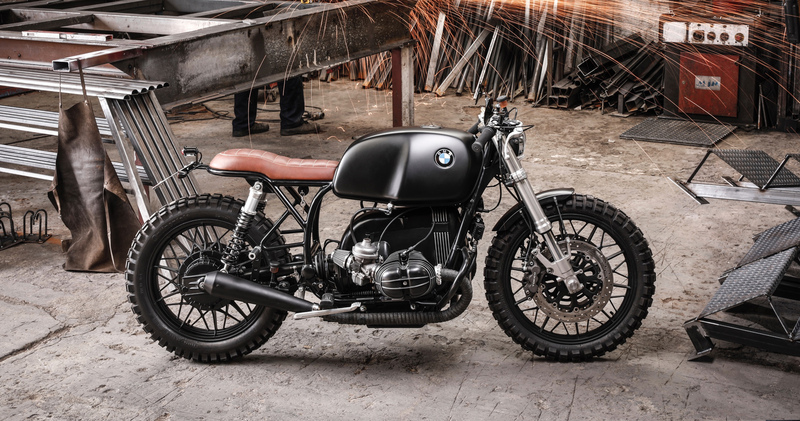 Although every bike we prepare is a new challenge to us, to work on the basis of a BMW R100 is to do it safely, this German bike is one of our usual references at Cafe Racer Dreams. Regardless of whether the donor motorbike is more or less well known, all the customers who have trusted our workshop so far know that we accumulate extensive know-how and that we always do things with taste and professionalism. Specifically, in this post we are going to explain how was the work that we did with one of our last creations: CRD98, which is currently in the garage of a person well known at sporting level. If you want to know more about this bike and its owner, I recommend you read on. I’ve already explained to you that we feel very comfortable when we work with bikes we know. 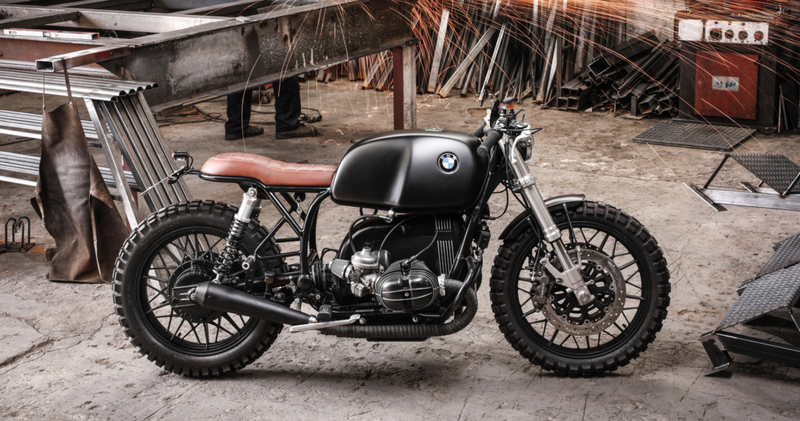 BMW R100 is one of those motorcycles, one that we love to use as the basis for our creations. It should be noted that today the BMW R100 range has become the paradigm of classic motorcycles. The first series of the R100, known as /7, began to be manufactured in 1976, being 1979 the year of production of the one that has served us as donor for this BMW cafe racer. Although there are several versions such as the R100T, R100S, R100CS, R100RT, the most legendary of all is the R100RS, being the first motorcycle manufactured as standard with an integral plastic fairing. Therefore, the model on which we have based CDR98 is part of the first print run, known for not having a fairing, whose name was R100RS. The BMW R100 range was characterised by larger engines, reaching 1,000 cubic centimetres, launched on the market with the aim of tackling the Japanese brands that dominated sales at that time. 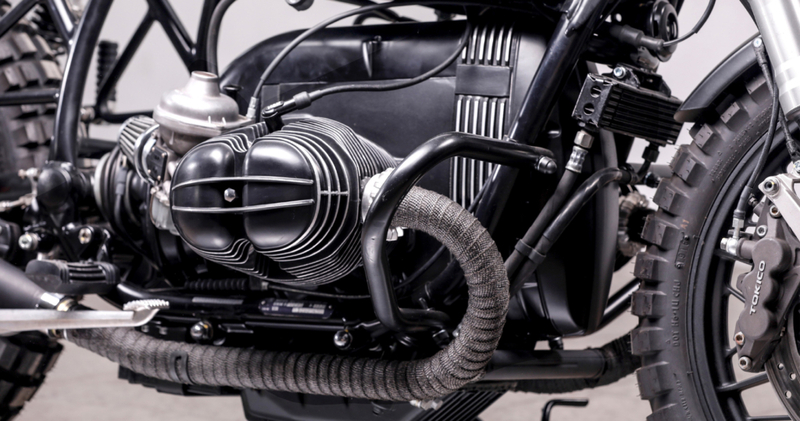 Mechanically the engine of the R100 that we have used for this BMW cafe racer is a boxer-type, twin-cylinder, four-stroke, which has been completely disassembled to see which parts could be used and which were not recoverable. Our intention when it comes to restoring an engine is to give it the same features it offered at the time it was built. And we also want it to look the same as it did then. For that reason, we painted the engine with a powder paint that gives the same appearance it had when it was mechanical assembled as if the bike had just been delivered to a BMW dealership, just a few minutes ago. During the whole work process – which has taken us 6 weeks – we have been able to reuse original BMW parts such as the air filter or the fuel tank, while having to replace those that were in worse condition. The exhaust pipe was designed and manufactured in our workshop in Paracuellos del Jarama, to show all the personality of Cafe Racer Dreams. To mention also the electric part, for the starting control we have chosen one produced by Tiny. 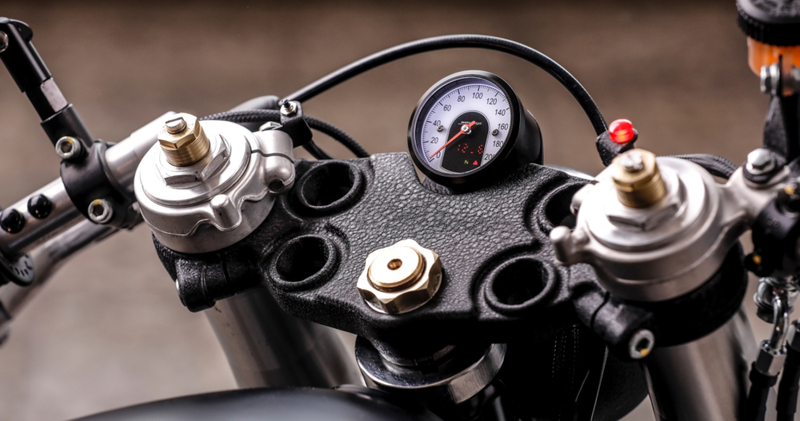 And both the speedometer and the control of the lights is Motogadget, which have been installed in a Rental Ultra Low handlebar, together with black Biltwell grips. We have also been able to use the original chassis, while the subchassis – for aesthetic reasons – has been made by ourselves. The multitubular construction of the original chassis has allowed us to give CRD98 a behavior very similar to that of the BMW donor. Its main characteristic at a dynamic level is the lightness, although it requires a certain hand to control the bike in certain circumstances, since this type of stiffer chassis is less “grateful” in their reactions. As far as the fork is concerned, it seemed to us that the most appropriate would be an inverted Suzuki type. And for the shock absorbers we have selected some from the Hagon brand. On the other hand, elements as characteristic of Cafe Racer Dreams as the headlight, the taillight, the fender or the license plate holder could not be missing in this BMW Cafe Racer. In fact, these parts designed and manufactured by our workshop are what ultimately catch our customers’ attention, because they give a marked Cafe Racer personality. All that’s left for me to explain is what the seat of this BMW cafe racer is like, since it’s the first motorcycle from Cafe Racer Dreams that has an accessory designed and manufactured by the leather goods company Cafe Leather Supply. This wonderful seat made of natural leather in caramel colour -which contrasts with the dominant matt black colour- is handmade, with leathers without chemical treatment and that are, therefore, totally respectful with the environment. 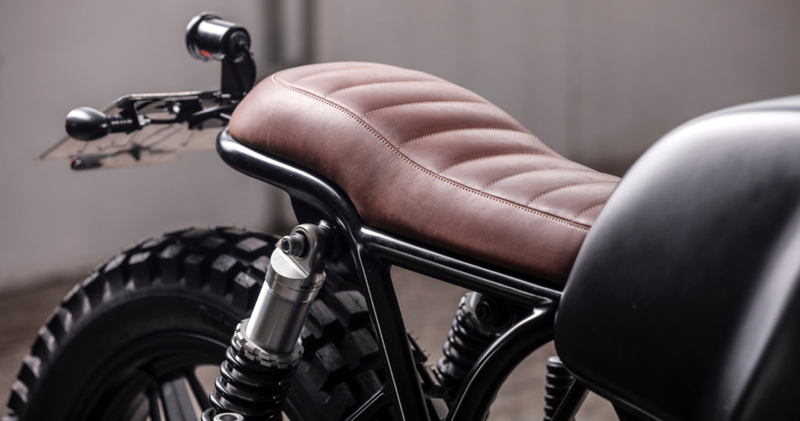 A premium seat intended for use by another VIP customer who has succumbed to the charm of Cafe Racer Dreams motorcycles. Because CRD98 has been created for the football player Xabi Alonso, who has had to wait for his retirement as a professional footballer to be able to enjoy one of our exclusive creations. A waiting time for the ex-player of Real Madrid and Bayern Munich that has increased even more the desire to own one of our motorcycles. You can contact our workshop by filling out the contact form below.